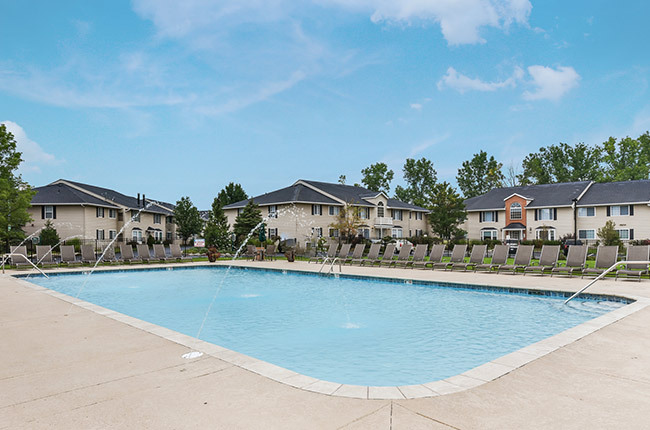 Forest Meadows Apartments in Medina, Ohio offers one, two and three-bedroom apartments that provide the perfect fit for your new home. With exceptional amenities and a tranquil neighborhood setting, our beautifully landscaped and gated community has been thoughtfully designed for our residents’ comfort, convenience, and accommodation. From your new home’s fully-equipped kitchen, full-size washer and dryer, and central air conditioning to our community’s enriching yoga classes, community events, and Zumba classes, we make sure you have everything you need to lead your ideal lifestyle. We take pride in providing your complete peace of mind, which is why Forest Meadows offers 24-hour emergency service and a professional management team that is always ready to meet your needs. For the serene and pet-friendly community living you’ve been searching for, there’s no better choice for your new home than Forest Meadows. Experience the singular luxury of our premier property today. As a resident of Forest Meadows, you can enjoy all the luxuries of community living with the added perk of a prime location in Medina, Ohio. Your new home is near a wide variety of vibrant entertainment, dining, and shopping options, giving you the best of both worlds with our comfortable and convenient property. You can enjoy a night out at the movies at Regal Cinemas Medina 16, some family-oriented excitement at the Amazone Family Entertainment Center, or satisfy your taste buds at one of many local restaurants such as Your Truly Restaurant, Courthouse Pizzeria, or Tokyo Hibachi & Sushi. Enjoy a scenic walk through one of the many parks located minutes away, or spend some playtime with your pet at the nearby Memorial Park Dog Park. Plus, with all the big-name shopping at the Medina Shopping Center available right in the neighborhood, you can have it all at Forest Meadows.